A record 345 events in 86 countries were carried out to mark World Migratory Bird Day 2013. Each and every one of these events represented a unique activity which brought people together around the world to celebrate and help raise awareness about migratory birds on 11-12 May 2013! The survival of migratory birds depends on the availability of well-connected networks of habitats along their migration routes. 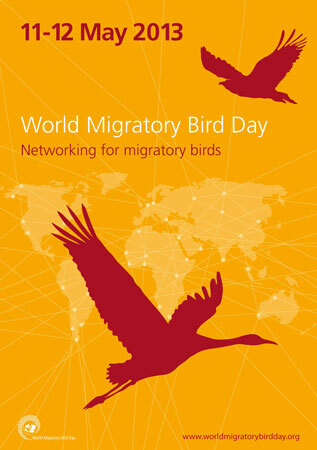 The theme of WMBD 2013 “Networking for migratory birds” aimed to emphasize both ecological networks, as well as networks between organizations and individuals and their mutual importance for the long-term conservation of migratory birds.